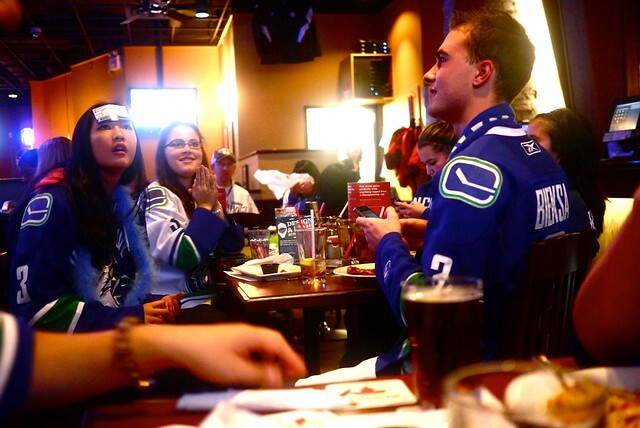 Official Canucks Tweetup #1 – Vancouver Canucks 5, Calgary Flames 1 at Boston Pizza on West Broadway November 1, 2011. 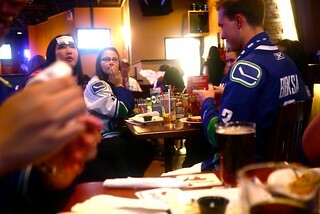 I finally made it to an official Canucks Tweetup (the first of the 2011-12 season) after failing to all last year. The event was hosted by the hockey club, social media coordinator Nicole van Zanten and The Beat's Chris Palliser. The place was fairly packed for a slightly earlier start out of Calgary. 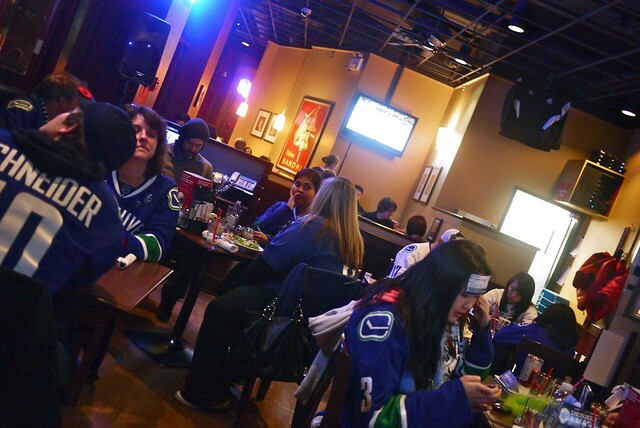 It was slow going in the first, but the Canucks turned it on for a 5-1 rout, electrifying the rowdy crowd. We blamed (Dennis) Pang for ruining Lu's shutout. 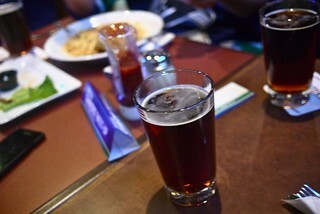 I enjoyed the game with a tasty plate of fried hot wings and many pitchers of ales. 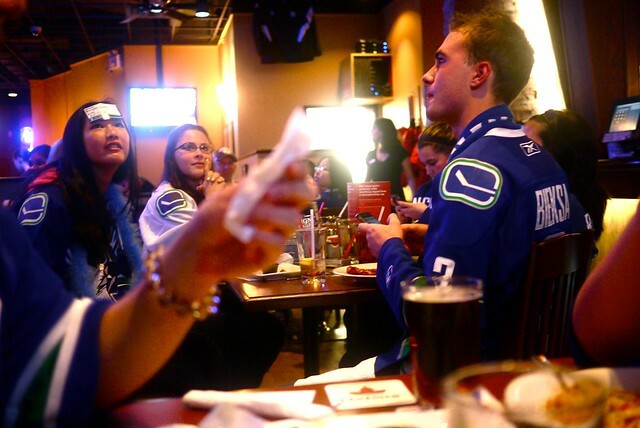 During periods, Nicole and Chris played table trivia, giving away prizes. 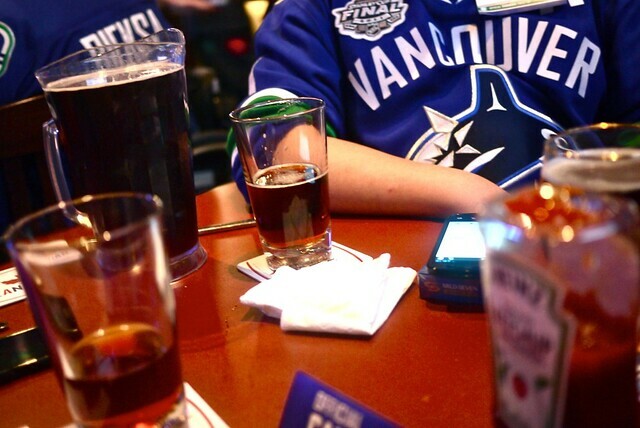 It was a fun tweetup, watching the game, having a few wobbly pops with fellow fans early in the season. I expect them to get only bigger throughout the year.